Two families struggle to overcome events that start 28 years earlier when a two-year-old child is kidnapped and the child’s father kills the kidnapper’s son. In four parts with three primarily set in the former Yugoslavia during the bloody 1999 ethnic conflict. Suspense, tension, and excitement are Evil Deeds main elements. Additional characteristics are adrenalin-pumping, gritty, rousing, and fast-paced plot with international political intrigue and terrorism. Obviously well-researched, with details lending themselves to an authoritative voice that makes the entire tale believable. Behaviors of a number of characters are exactly what you would expect from a real-life version of that character. The author uses the book to illustrate the brutality of the ethnic-cleansing type of brutality that may not have been reported in the press or read by the average media consumer. The reader’s feelings are successfully manipulated by the author to direct a visceral reaction to words on paper. We anticipate actions and are heartened by actions to bring the “bad guys” to justice. High levels of anxiety make this a page-turner of break-neck pace. There is large-scale villainy to include the office of the president of Yugoslavia. There is espionage and government conspiracy. The main characters face death. Initially the forces of evil are more powerful than those of good. There is a quest for justice and morality that cannot be abandoned by either side. A mystery is known to the reader and some but not to one of the most significant characters. The reader can “hear” an action sound track that would accompany the prose. The main characters on the side of good are represented as innocents in a corrupt world. The main characters on the side of good are dragged into situations for which they are not prepared or equipped. Some very nice twists to the plot with unexpected changes in direction. One of those is a foreign assassin operating inside U.S. borders. Recommended for readers, who enjoy this genre. Evil Deeds is an 118,100-word, four-part thriller spanning a twenty-eight-year period. Part I begins in 1971 in Greece with the kidnapping of Bob and Liz Danforth’s two-year-old son, Michael, by a renegade band of Gypsies led by Stefan Radko. Radko and his group kidnap children, spirit them north, and sell them to the Bulgarian Government. The Bulgarians raise the children as Greeks, indoctrinate them as Communists, and train the best and brightest as espionage agents. Years later, these children will be infiltrated back into Greece as Communist agents. Michael’s abduction sets in motion a search by Bob and Liz, in partnership with an U.S. Intelligence Officer, Franklin Meers, and a former Communist agent, George Makris. George was kidnapped at the age of six, raised in the same Bulgarian orphanage Michael is taken to, infiltrated back into Greece twenty-five years later, and arrested by the Greeks as a spy. Bob and George illegally cross into Bulgaria to try to find Michael in the orphanage. Instead, they find the building recently evacuated. While they search the building, Radko and his teenaged son, Gregorie, show up with another kidnapped infant. A gun battle ensues and Bob kills Radko’s son. Radko wounds Bob and George, then escapes. Bob and George rescue the infant and struggle to return to Greece. While Bob and George flee Bulgaria, an alert U.S Embassy employee spots Michael with a woman in a park in Sofia, Bulgaria. Michael is returned to his parents. Bob’s unauthorized excursion into Bulgaria lands him in hot water with the Army. The CIA recruits Bob after he is forced to resign from the military. Hellbound, is a thrilling and well woven story, intricate in its blending of mafia bad guys and everyday elderly people on a church bus tour. Vignettes of the lives of individuals on the bus, both known and hidden, are brought to us mixed in with the unknown to the passenger’s drama, played out slowly over the course of the tour. Campbell, keeps us on the edge of our seats as the relentless pursuit by the mafia of the central character Bryce Reynolds (Pat Pagano) reaches a conclusion. The ending will surprise the reader. A great story, that I can see as a made for TV movie that will hold an audience’s attention.. The story takes place in 1999. 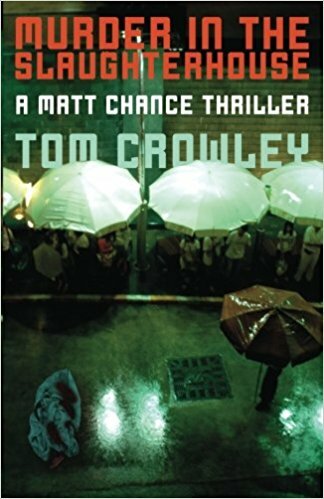 When a busload of seniors from a suburban Nashville church head down the Natchez Trace on a carefree journey to The Big Easy, they are unaware that a Mafia hit squad is playing a deadly game of tag with them. All except one passenger. The man they know as Bryce Reynolds is really Pat Pagano, a Medal of Honor winner from World War II and a successful Las Vegas stockbroker who was lured into handling investments for a New York crime family. After his two grown sons are killed in an attack by a rival gang and his wife succumbs to cancer, Pagano decimates the mob with his testimony in federal court. He disappears, and then resurfaces in Nashville as Reynolds, a retired businessman from Oklahoma. But after years of searching, an old Mafia capo tracks Pagano to the church bus enroute to New Orleans. A series of unfortunate traumas, family secrets, and maternal rejection propel the protagonist, Johnnie Kitchen, on a journey of healing through self-discovery and truth, in Kathleen M. Rodger's Johnnie Come Lately. Abandoned by her mother, and blaming herself for the turmoil in her life, Johnnie Kitchen seeks to find love, forgiveness, and acceptance, not only from her family members, but mostly from Johnnie, herself. Kathleen hooks the reader in the first passage, and doesn't let go until the last page is turned. The author builds on layers of interactions and deceits, to reveal a carefully woven tapestry of mystery in Johnnie Come Lately. Her plausible course of events lends credibility to the plot; her characters are real, flawed, and likable, which adds authenticity to her tale. The reader becomes entangled, unable turn away, as the pieces of Johnnie's puzzle fall into place. Johnnie Come Lately takes the reader on a passionate rollercoaster of redemption through brute honesty. The telling is full of raw emotion which touches the reader through myriad sensations. I found myself crying, amused, animated, and angered... and full of anticipation. I look forward to reading Kathleen M. Rodger's next book. I was honored to have actually held this book in my hands and to have been able to read about such heroic young men in battles long forgotten by the world at large. "Young Soldiers - Amazing Warriors" by Col. Robert Sholly is a book that future generations will read and wonder if these men really ever existed. Thank God for such men who sacrificed so much of their own lives and youth for a cause bigger than themselves. Actually, they were truly there for each other as brothers in battle. The author, I think, under tells the story without embellishments that most of us old veterans seem to add to our old glory stories about the war. You get the feeling that he is just telling you of how it was. But what a history to share, and what stories of such young warriors. There are not many books about the Vietnam War that surprise me or generate the emotional connections that this book brought to me. I have read over 200 books related to the Vietnam War and most of those were memoirs or history books. This is by far one of the best of the group. One gets the feeling that it is the heroic history of the 4th Infantry Division itself that enriches the reading experience - after all, these young men needed nothing more than a narration of what happened. However, I was impressed with the author's ability not to get in the way of the stories themselves. He tells it in a style and manner that honors it. I am a Vietnam Veteran and an author as well, so for me to impressed with another book on the Vietnam War means it had to be special and above the rest. This was! This is a FIVE STAR BOOK on any rating chart! I fully endorse it and recommend it for anyone who enjoys reading history, or reading about heroes! Book covers the first year of combat for the 1st Battalion, 8th Infantry of the 4th Infantry Division (1966-67). The narrative follows the author's daily journals and is augmented by descriptions of events by his men from their differing perspectives. It describes the harsh environmental conditions in which infantrymen had to live even before they confronted their first enemy. The combat scenes are tragic and brutal. Time and again, men knowingly sacrificed their lives to save their friends. The combat tempo was such that in a 60-day period there were four Medals of Honor and five Distinguished Service Crosses awarded to men of the battalion for their bravery and valor. The book was written to help educate the American public what their soldiers experience when the country sends them to war, no matter where or when they fight. This is a fine book by author Gary Best, which provides a good overview of glider attacks launched by both the Allies and the Axis. 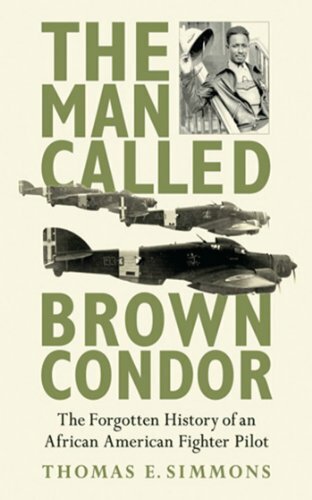 Best, the author of previous World War II books uses material from previous publications and some new materials and interviews with veterans from the war, to examine the strengths – and weaknesses – of using lightweight, engineless aircraft to launch surprise attacks on enemy installations. After some short chapters describing the development of the gliders used by Germany, Britain, and the United States, Best looks at the training of the glider pilots, tow-aircraft pilots and the men who rode these delicate craft into combat. Best then examines the major missions in which gliders were used. These chapters include the better-known missions like the German assault on the Belgian Eben Emael fortress, the bloody attack on British installations in Crete, and the Allied mass-drops at D-Day and in Operation Market Garden. He also summarizes lesser-known uses of Gliders in brief accounts of Burma in 1943, the German rescue of Benito Mussolini in northern Italy, and the commando attack on German nuclear research facilities in Norway. There is even a small section on what is known about glider use by Japanese and Russian forces. These accounts are enhanced by very good use of first-hand memories of participants. In all, this slim volume gives the reader a very fine succinct account of the glider’s role in the war. Gliders were, admittedly, very dangerous, especially in the early training of the pilots. As one veteran noted after the war, “I am sure we lost more pilots in death glide training . . . than we ever did in combat.” This proved markedly true in night drops; the number of men lost crashing into trees or wetlands during the D-Day assault has never been fully tabulated. Even in the daylight landings for Market Garden, British glider troop losses on the first day contributed to the failure to hold the last, vital bridge at Arnhem. The anguish of that is very clear in the book’s first-hand accounts by the participants. The combination of background on the development of gliders and the number of examples on their use in the war make this a most useful and impressive book. Silent Invaders is a book about the men who piloted gliders and those who flew in them. To the extent possible it is written in a continuous narrative, often combining first person accounts from more than one person so that those experiences will have multiple perspectives of the same scene, battle, flight, landing, and related experiences. Unit names, flight and squadron numbers and other identifiers are, for the most part, not identified, outside of a larger descriptive framework so that one is able to concentrate on what an individual saw, heard, felt, or accomplished. Today it might be somewhat taken for granted but, when Oveta Culp Hobby was growing up it simply never happened. Well, rarely if ever! Firsts were a norm for her! She was the first head of the Women’s Army Corp, the first Secretary of Health, Education, and Welfare (appointed by Dwight Eisenhower). Only one other woman had served in a cabinet post prior to her. Far too many books are written that miss the mark when it comes to encouraging women to do and be more. Debra Winegarten in “Oveta Culp Hobby: Colonel, Cabinet Member, Philanthropist” has written a guide for women to follow and Oveta Culp Hobby is clearly an example worth emulating. More than a biography it will encourage the reader to not see obstacles but rather opportunities. Her positive approach too, and life long quest for learning is a clear road map for all young women. Victimhood is a poor substitute for desire and effort, Ovita Culp Hobby showed the way with a continuing display of accomplishment. Author Gary Williams brings us a true American war hero in his World War II Story of Douglas a. Munro. The book is appropriately titled Guardian of Guadalcanal. The account of Munro's heroic actions during the battle for Guadalcanal made it very clear to me why the Marine Corps., to this day, has so much respect for this former member of the U.S. Coast Guard. It's easy to see that the author extensively researched both Munro's life and the combat on Guadalcanal. Once the reseach was done, Williams did a very good job in presenting us that story along with dozens of photos, award citations, and maps. If you like reading about American war heroes, this story of Douglas Munro, the Guardian of Guadalcanal, should definitely be up high on your list! Guardian of Guadalcanal is the World War II biographical account of Petty Officer Douglas a. Munro, United States Coast Guard, the Coast Guards only Medal of Honor recipient. Nunnally vividly describes his death-defying experiences as a coxswain piloting a landing craft that carried marines, soldiers and supplies on numerous invasions in the Pacific theatre,including Saipan, Tinian, Peleliu and Okinawa. By the time he was seventeen, he was a seasoned veteran. By the time he was nineteen, he was an alcoholic. After the war, Nunnally came home, married, had a son and then dropped out of their life.Clearly, Nunnally suffered Post Traumatic Stress Disorder, but PTSD was not known back then. After forty years estrangement, the son reconciled with his father asked Nunnally to write about his experiences in the war aboard the USS Fuller. The series of letters make up the bulk of “Sailor Man – The Troubled Life and Times of J.P. Nunnally, USN.” Some describing the violence of war in gory detail, some recounting whimsical search for booze, some in portraying the bravery of men charging into a horrific rain of gunfire and aerial bombardment day in-day out. Author Del Staecker uses photos, maps, excerpts from official reports of the USS Fuller, and interviews withFuller crew members to add perspective and clarity to Nunnally’s narratives. “Sailor Man” makes one cringe, cry, and laugh. It gives the reader a greater appreciation for the sailor, Marines and soldiers who weathered deadly maelstroms of destruction in taking fortified Pacific Islands needed to win the world’s greatest war. Most of all, if helps the reader understand how the trauma of war shattered the life of a brave young man long after the conflict is over. Sailor Man is the illuminating account of James Preston Nunnally, told through letters he wrote to his adult son. J.P. was a teenager who lied about his age to enlist in the Navy, endured combat service in World War Two's Pacific Theater, and returned home. What sets Sailor Man apart, making it an invaluable addition to the canon of World War Two, is that it also reveals the lesser known dark side--the psychological trauma so many of these brave young men experienced as a result of their repeated encounters with the horror of war--what we now call (PTSD) Post Traumatic Stress Disorder. This book describes the personal cost of war paid by one man and his family, and it will break your heart--especially if you are a child of a combat veteran. The author provides tactical details and brings to life the unthinkable realities of a 101stAirborne trooper’s Vietnam. His writing style makes the mind wonder how anyone could ever survive or recover from the situations faced. As you read, you are in fight. Transference made me feel each casualty, drink canteen water filled downstream from bloated bodies, wade neck deep to fight, and absorb a round in the face. I wish Fate Unknown was required reading for the American History student. Vietnam was different than other wars. This memoir blew me away with the idiosyncrasies. Mitchell’s duty reflections left me with a vivid education from multiple perspectives about the hell faced. War terminology can be understood, pictures are clear, and some are in color. From professional skills required to launch an assault to the “pucker factor” measurement of fear, I came away soberly informed and in admiration for the brave. I highly recommend this book. It injects a breathtaking dose of reality from the courageous who served in life-taking combat far away in the jungle and on the rice paddies. Many of you have seen movie versions of war, but have you ever asked yourself what it was really like to be a fighting soldier in the Vietnam War? In Fate Unknown, the author, a member of the famed 101st Airborne Division takes the readers to the battlefield, with boots on the ground, as he candidly shares many of his personal experiences of his 1966 tour. He also reveals insightful accounts from fellow soldiers of different ranks, as they saw and lived through it. Situations and battles come into sharp focus through the eyes and ears of those whose lives were changed forever by their tour in Vietnam. This is a compelling, insightful and nonfictional account of a combat tour. So lace up your jungle boots and live the battle as experienced by an airborne infantry unit during the Vietnam War. You will gain a true understanding of combat and probably change your outlook of war. The author provides new insight into the Korean “Police Action,” or if you prefer “The Korean Conflict” or “The Forgotten War.” This reviewer has read many books and stories about WWII and the Forgotten War, and the bombers that helped win those wars. Wikipedia’s WWII bombers of the US page lists the B-17 Flying Fortress and B-29 Superfortress, B-24 Liberator, and the B-25 Mitchell, but no B-26. Perhaps the reason for the omission and general confusion is the fact that two entirely different aircraft, manufactured by two different companies were designated B-26. The first was the Martin B-26 Marauder (also called the widowmaker), followed by three or more versions of the Douglas B-26 Invader, both of which were in service during WWII. What little knowledge I had about the B-26, I discovered, pertained to the Martin B-26 Marauder. Now, thanks to Arthur Haarmeyer’s excellent book I have broadened my knowledge base to include and appreciate the Douglas B-26 Invader medium bomber, and the unsung heroes of both wars, and the beginning of the Vietnam War, who flew them. Later he learned the images seared into his mind would last a lifetime; images that haunt and cause dreams—a form of PTSD. Recording the dreams, flashbacks and recollections is one method of dealing with PTSD; a method Mr. Haarmeyer used resulting in this book. Second Lieutenant Haarmeyer, a recently graduated B-26B bombardier-navigator, arrived at the K-9 USAF base in Korea in late December of 1952. Unlike WWII, this is a different kind of war with different rules. No massive saturation bombing by B-29s. The introduction of jet fighters, specifically the MIG-15 and later the MIG-17 ended that tactic. Now single B-26A or B hunter-killer bombers flew north in the dark night skies of North Korea to destroy designated targets, or targets of opportunity: trains, truck convoys, rail yards, bridges, ships, and anything else that helped the enemy. On rare occasions dawn raids by multiple B-26 bombers took place, but the majority of the missions were single aircraft. The crews knew there was virtually no place to crash land, and capture by North Korean peasants meant a brutal death, yet they did their duty and braved the dark skies. Each crewman was required to complete 50 missions before being rotated back to the US. Into the Land of Darkness is the recollections of the author, written down and published 60 years after leaving Korea. A book that puts the reader in the plexiglass bubble staring down through a Norden bombsight, searching for targets of opportunity along enemy main supply routes (MSRs). Each chapter is a different recollection, allowing the reader to experience the harsh conditions, social interactions, and the boredom men endured at K-9 AFB. On a cold December morning in 1952, young Lt. Arthur L. Haarmeyer reported for duty in Korea as a B-26 bombardier-navigator to Colonel Delwin D. Bentley, Commander, 95th Bomb Squadron, 17th Bomb Group, K-9 Air Force Base, Pusan. Haarmeyer was immediately challenged by the colonel: “You’ve got an MBA … from a high-priced university. You could be riding a desk at the Pentagon right now. So why the hell are you here?” His reply—“I always wanted to be here, sir. I can be an accountant later”—was apparently convincing. But over the next seven months, flying fifty missions, mostly low-level nighttime bombing and strafing raids over mountainous North Korea, there were many times when he had reason to question the sanity of both his response and his decision. In this book Haarmeyer recalls with clarity and economy of style just what it was like to fly these missions. He puts the reader in the B-26, flying into deep valleys to find and attack communist freight trains and truck convoys carrying men and materiel to the front lines, and then being unexpectedly caught in the sudden and blinding glare of enemy searchlights that triggered multiple streams of deadly and upward-arcing green or white tracers. And he recalls instances of agony, guilt, and terror, such as the times when the flak was so heavy on all sides that he was unable to advise his pilot to “break right” or “break left”—so their B-26 just simply plowed straight through it—or when they flew low enough for Haarmeyer to see, through the Plexiglas of the nose compartment, the terrified faces of the young North Korean soldiers they were targeting. He also recalls moments of breathtaking beauty and poignancy, and it is this artful juxtaposition that makes Haarmeyer's work more than just another wartime memoir. Although Haarmeyer left the Air Force upon completion of his four years of military service, the recurring and troubling memories of Korea never left him. Hence, the start of this manuscript fifty years after the restoration of freedom to the people of the Republic of Korea. Just as telling these stories was therapeutic for the author, so reading them will be healing for any reader who is a veteran of that or any war, as well as their family members and friends. The book also provides a valuable perspective on the United Nations Command’s tactical approach to Korea, namely, the aerial interdiction of North Korean troops and materiel, and so it will be of interest to students of the war, as well as military personnel and historians. Surrender September 2, 1945 draws you back to a time when virtually the entire world was engaged in war. Starnes shares that time, and his memories with us in a clear time frame of events in his Naval career leading up to the Japanese surrender on the Missouri in Tokyo Bay. From battles at the beginning of the war, in which the vessel he was serving on almost sunk (USS Boise), to being on the deck for the surrender. This is not researched history, it is first hand inside experience. Starnes shared the deck with such notable historical figures of the war as ; Admiral Nimitz, Gen. MacArthur, and Adm. Halsey. An easy and quick read worth your time. The USS Missouri sits near the USS Arizona Memorial at Pearl harbor. Surrender is the personal story of James L. Starnes during World War II. On September 2, 1945, navigator Starnes served as the Officer of the Deck on the battleship USS Missouri from 0800 to 1200 for the surrender ceremony of Japan to the Allies ending the war. Being a copyeditor, I work with clients who range from inexperienced writers to those who have taken the time to study the art of writing, so I was pleased to be able to review Jack Woodville London’s A Novel Approach. I’m always on the lookout for resources for writers that I can recommend. This book is now on such a list that I’ll be sharing with all of my clients, no matter where they fall on the writing spectrum. I especially appreciate the way that Mr. London shares memorable examples from literature to hit home the concepts of writing—which to me is what puts the “novel” in A Novel Approach. To me, it is what makes this resource stand above others and why I highly recommend it. Twenty-six chapters of the art of writing a book using the approach of a novelist, from how to approach writing as a serious writer, to research and planning, story arc, conflict, pacing, and organizing, to the meat of creating characters, writing scenes, and dealing in dialogue and point of view. Rank classifications in the military can at times be very confusing and quite contradictory. There are the ranks of the enlisted category classified from the lowest private to the highest of Command Sergeant Major. In the leadership classifications we have the Officer ranks from 2nd Lieutenants to Four Star Generals. Between these two classifications are the specialized ranks of the Warrant Officer which at present goes from CW1 to CW5. Farrell Chiles goes into great detail as to the origins of the evolution of Warrant Officers and branches specifically into the relationship of African Americans in the Warrant ranks. In fact the author goes into the biographies of the men and women of African American descent who have served in these specialized ranks from WWII to present. One category which the author bears down on is the helicopter pilots who have served in the Warrant ranks. In fact Farrell gives detailed accounts of the pilots who have served in combat and who have been placed in the pilot’s Hall of Fame. The book gives much detail as to the contributions of African Americans who have served our country in the military as Warrant Officers. African American Warrant Officers...In Service to Our Country tells the stories of unsung African American warrant officers who have served our country in and out of the military. This collection of historical articles, inspiring biographies, and profiles highlights the significant contributions of individual African American warrant officers from World War II to the present, with remarkable detail and language befitting their valor. WARFILMS is a reference book that would aid a researcher in finding by year, subject, and service branch films produced for training and historical reference for all to see. From basically the start of the 20th century to present, our armed services have produced films to educate and further the historical understanding of what has transpired over time in the US Armed Forces. With this vast array of old and new footage one can get lost in a myriad of film which for most of us is out of sight and out of mind. In studying such footage historians learn of what has transpired. In fact much of the footage has come to good use in programs produced on the History Channel and the Military History Channel. Some of the footage winds up in current Cinematic renderings and TV specials. The quality of much of this footage is well kept and maintained by the Special Media Services Division located at Archives II in College Park, Maryland. The rest are housed in the National Archives’ Presidential Libraries located around the country. Mr. Stewart provides us with a general reference as an overview of Motions Picture within Military Record Groups held in the U.S. National Archives. "WARFILMS: An Overview of Motion Pictures Within Military Record Groups Held in the U.S. National Archives" is a synopsis of the 119,000-plus reels of historic motion picture film produced, acquired, or captured by twentieth century American armed forces that are located within the 35 military Record Groups at the United States National Archives and Records Administration facility in College Park, Maryland. While WARFILMS does not try to list all military films in the National Archives, it does identify and describe over 350 of them for review. The goal is to pique the readers' interest so that they will explore the additional thousands of historic military titles on their own. Basic guidance is provided as how to do that. How does one rate and talk about a book that has six individually talented authors with diverse interests and focus? I dove into the book by not beginning at the front of the book - but by randomly jumping into the middle where I found author Jim Tritten's chapter called "Night Flight to Norway". This kind of got my attention and so that was where I began the process of discovering digesting the whole book. I found it was like reading six very short books but that did not bother me, nor do I think it would anyone else. Each story captivates and entertains in a different fashion. No two authors had the same energy, or point of view. The only thing that ties them all together is the like ability of the authors. The book is certainly a journey which is easy to walk. The stories are just long enough for those times when you want to read something while you are not engaged doing anything or waiting. I personally explored it by skipping over stories that I would later come back to and explore. The key is to enjoy your own time with this book. In the end, I devoured it in all it’s entirely. Yes, some of the stories stood out for me more so then others - like the first one I read by Tritten but there were none that were bad, or that I did not enjoy or find some valve in. Nice book to have laying around the house for light reading, or for when you are at an airport or on vacation. Jim Tritten (Navy vet and MWSA member) wrote: Night Flight to Norway (memoir about a military flight during which he almost died), Two Old Soldiers (memoir about his veteran grandfather), & So Why Did they Invent Pink Duct Tape? (humorous essay). The latter two have won awards elsewhere. Tom Neiman (Army vet) wrote: The Leather Truths (memoir about teenage life in New Jersey), & A Heart's Journey (memoir about his wife). Leon Wiskup (Army vet) wrote two short stories - The Newcomer & Funniest Damn Thing (a military story); as well as two poems - On Being 88 & Dawn Encounter. Don Reightley (Navy vet) wrote five serious essays: On Becoming Sixty, Meditations on Life, Making the Best of It, Dragon's Lair, Is Anybody Home?, & Corporate Oligarchy. Sandi Hoover wrote: An Amazon Night (memoir fantasy while hospitalized), What Love Is (memoir about her husband), My Father had a Sweet Tooth (memoir about her father), and Saving Mother Earth (essay). The entries in the group's first anthology will make the reader laugh, wonder, cry, smile and reminisce.